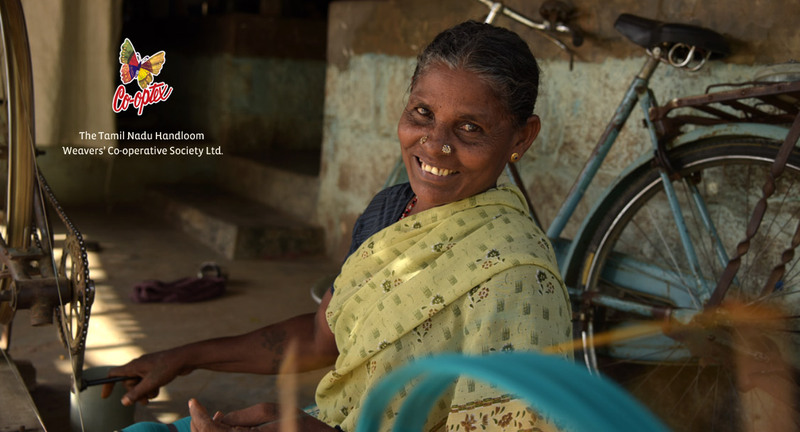 The Tamil Nadu Handloom Weavers’ Co-operative Society Ltd., popularly known as Co-optex, was established in 1935 and is primarily engaged in marketing of handloom fabrics produced in Tamil Nadu. Co-optex has a network of 200 showrooms spread all over India with an annual turnover of around Rs.1000 Crore. Its logo the multi-hued butterfly is synonymous with quality, durability and fair trade. The fabrics marketed by Co-optex represent an aesthetic quality and talk of the rich legacy of Tamil Nadu handlooms. By honing the skills of its weavers and developing innovative concepts, Co-optex has been successfully meeting the demands and challenges of the market. Each product of Co-optex displays the artistry and craftsmanship of weavers from Tamil Nadu. Have you ever wondered how a Rubik square works? Scattered colors find their counterparts to bring..
Have you ever wondered how a Rubik square works? Scattered colors find their counterparts to bring o..
Floral archways above their heads sway with the cold morning breeze… Banana trees on either side a..
Floral archways above their heads sway with the cold morning breeze… Banana trees on either side ado..